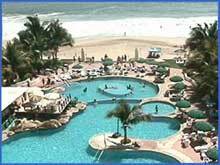 This 2 Bedroom beachfront Condo in Ixtapa Mexico is offered as a weekly or monthly rental, all within the Costa Real Hotel and Resort directly on the beach of the Bay of Palmar Ixtapa, Mexico. 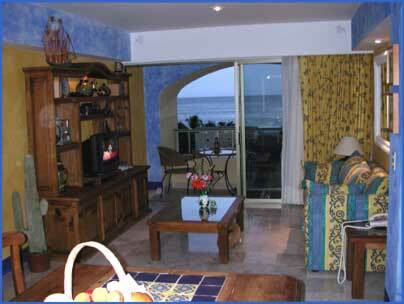 This new 2 bedroom condo in Ixtapa Mexico has been tastefully decorated and has an unobstructed view of the ocean and the islands from the living room and master bedroom. 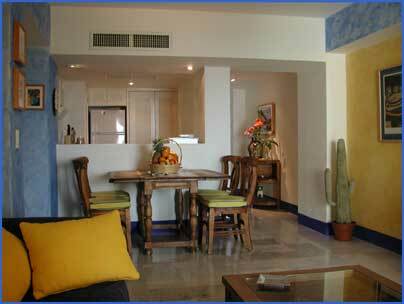 The 2nd bedroom overlooks the famous Marina Ixtapa Golf Course and the mountains. The fully-equipped kitchen and dining room area feature hand-painted Mexican ceramic countertops that compliment the quality and attention to detail throughout. 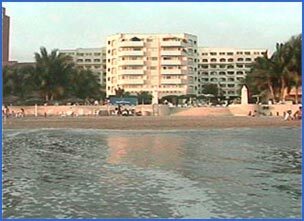 Enjoy your Holidays in the privacy and comfort of this luxurious private beachfront condominium with plenty of amenities .